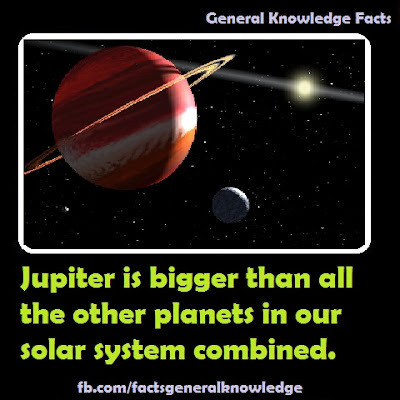 Jupiter is the largest planet in the solar system .Jupiter is fifth in terms of the distance from the sun.The mass of Jupiter is 1000th of that of the sun and the mass of Jupiter is 2.5 times the combined mass of all the other planets of the solar system. Jupiter's mass is equal to 318 times that of Earth's. Whereas its volume is equal to 1321 times that of earths.Four large moons and many small moons orbit around Jupiter.It has a total number of 67 satellites. This is really not surprising, but it always feels good to get new facts and learn new things along the way. Really glad I was able to see more here regarding Jupiter the mighty planet. Thanks for sharing great post i have read!